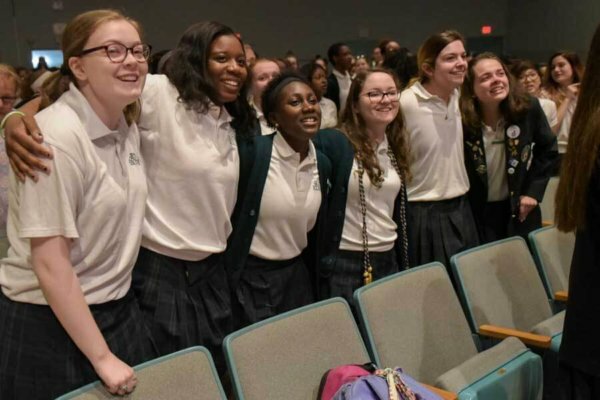 “I think when you walk through the doors of Seton Keough, you buy into something very special, and you carry that with you,” Casey said following the school’s June 1 closing Mass. Students, faculty and staff expressed sadness over the school’s closing, 28 years after the merger of Archbishop Keough and Seton high schools, but hope as well. The Mass brought together freshman, sophomores and juniors, as seniors graduated May 26. Monsignor James O. McGovern, who retired as pastor from Church of the Resurrection in Ellicott City in 2009 and has served as canonical representative on the Seton Keough school board, celebrated the Mass. “Life is full of letting go,” he told the young women, noting that the disciples had to do so at the Ascension, though Jesus assured them he would always be with them. “And so I think it is with each of you as you go forth from this institution,” Monsignor McGovern said. “Take with each of you the wonderful gifts to the various schools you’ll be attending next year … realizing that God is with us,” the monsignor told the young women. Jessica Harzer, also a rising senior, will go on to St. Vincent Pallotti High School, a school of the Archdiocese of Washington, D.C., in her hometown of Laurel. Principal Donna Bridickas choked up as she addressed the young women after Mass, urging them to thank their teachers. “Girls, they could have left and gotten other jobs very easily,” she said, also calling them “the most dedicated men and women” before applause drowned out further descriptors. “Sometimes they called you to do things you really didn’t want to do, but they called you to be better young women, and you really need to thank them,” Bridickas said. 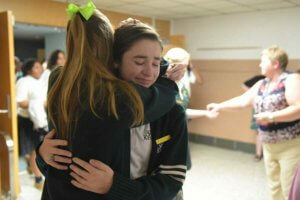 “Know that you are truly loved by God, and you are truly loved by all of us at Seton Keough,” she added. The students sang the school’s alma mater, loudly, for the final time. See photos from Seton Keough’s last graduation here. A journalist since 2005, Erik wrote for small-town publications in New Hampshire before he left for Germany, where he taught English for two years, starting in 2009. He moved to Baltimore and served as editor of the Baltimore Guide from 2012 to 2015. He then served as a staff writer for Catholic Review until August 2017 when his family made plans to relocate from Maryland. 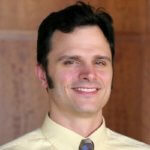 He currently serves as a freelance contributor. Erik is grateful for the richness of the Catholic faith he has experienced since, owing both to his access as a journalist and the Baltimore Archdiocese being the Premier See.